Benchmarking innovation diffusion in the Intelligent Transport Systems sector in Europe and the US. 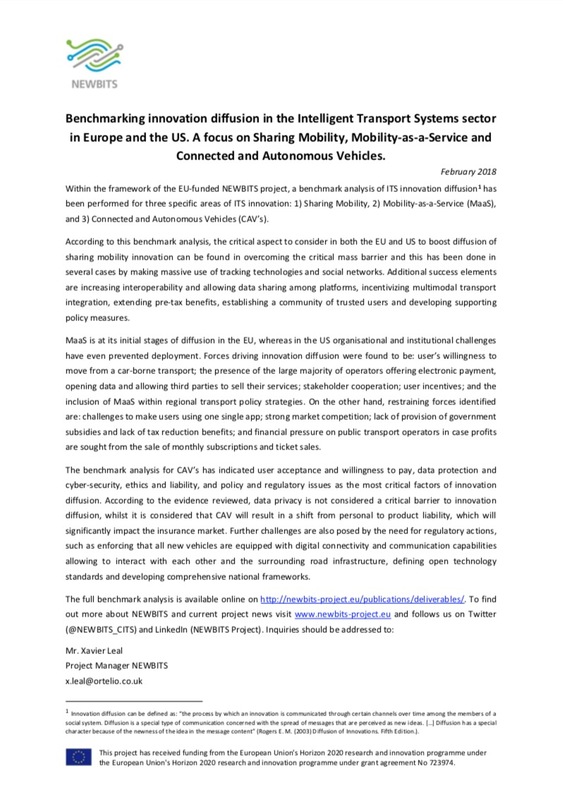 A focus on Sharing Mobility, Mobility-as-a-Service and Connected and Autonomous Vehicles. Download here the 3rd NEWBITS press release in pdf format.